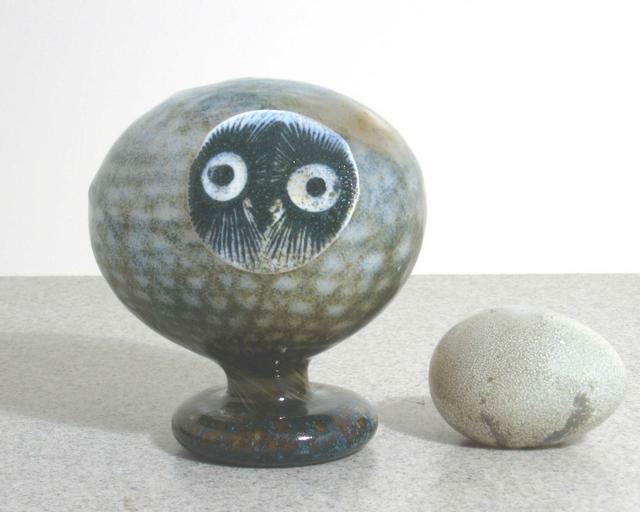 More about iittala Toikka Blue / Brown Pearl Owl The helmipöllö, or pearl owl, showcases a mix of blue and brown to create the unique coloring. The face is not painted on, but glass-blown, demonstrating the intricate art of glassblowing. 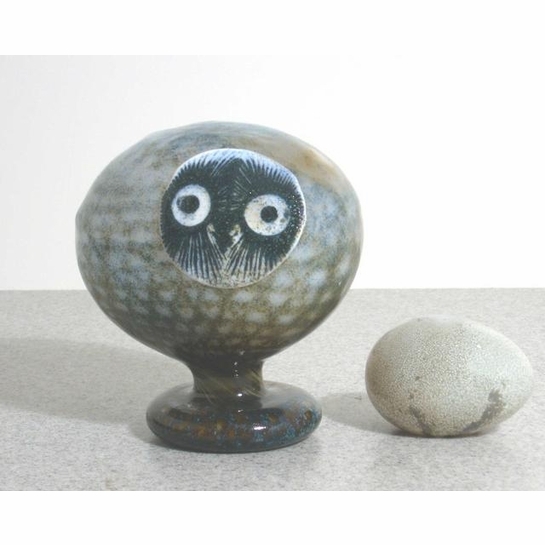 Introduced in 1984 and retired just a year later, the pearl owl is a beautiful addition to any collection.